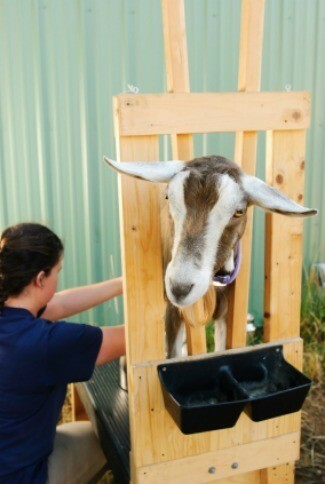 You don't need to buy expensive equipment to strain fresh goat's milk. This is a guide about straining goat's milk. For straining goat milk I bought a new plastic transmission funnel (for only $1.00), and pushed a large cotton ball into it, loosely so the milk can flow easily. Because of the long funnel, it holds a lot of milk at one time and doesn't turn over. No more buying expensive milk filters, the milk is even cleaner too. This method can be used to strain any liquid. Make sure it's a food safe grade of plastic. Look for a triangle with a number inside it. Grades 3, 6 and 7 are not safe to store food in. No. 5 ok for pantry, No. 4 ok for freezing. This info was from The Dallas Morning Newspaper. A very careful friend of mine with 2 college degrees in biology and chemistry won't store any food in plastic or aluminum.